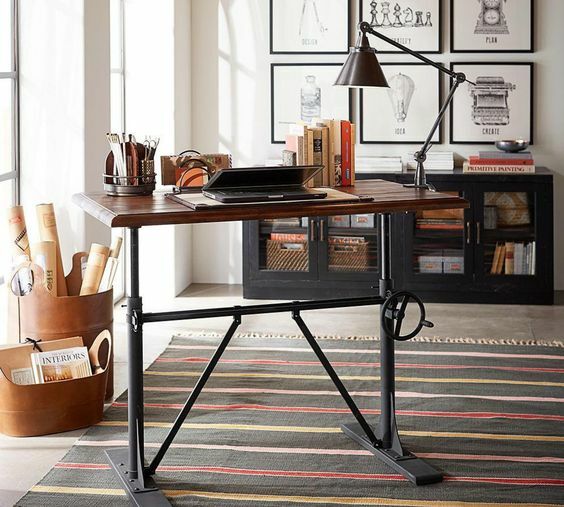 Home office furniture trends are changing as more people work from home. 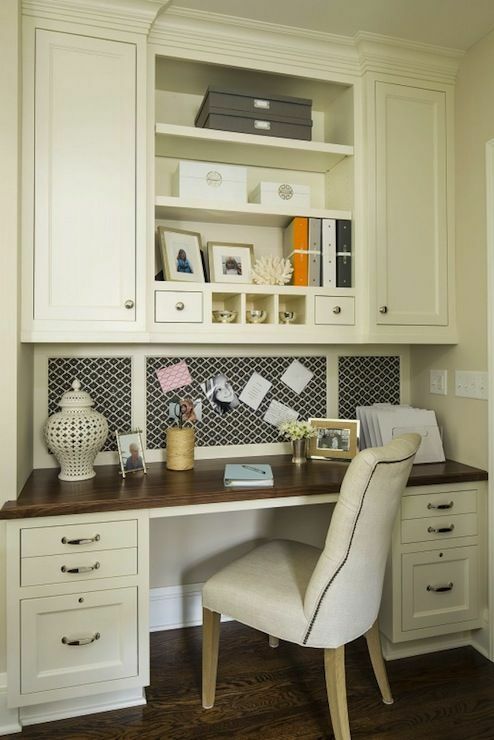 The traditional style home office with rich wood furnishings, leather upholstery and floor-to-ceiling bookcases is wonderful if you love that style of grandeur, but the trend in home office furniture and décor is embracing a new kind of modern office. 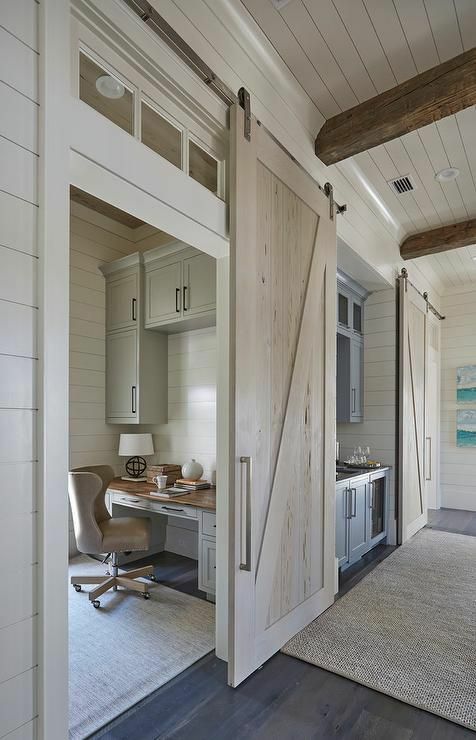 With the high demand on architects and designers to add a home office, space is being taken away from the entry and dining room to keep house sizes and building costs about the same. 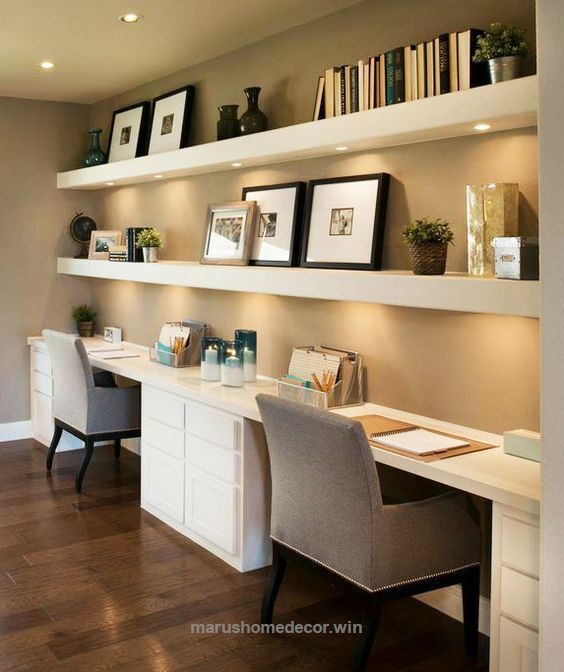 Whether outfitting a basement, converting an attic, transforming a closet, or carving out a niche in the bedroom or the busiest part of the house, the latest modern home office furnishings and designs will help you create a home office that can outperform the best commercial office space. Today's computers are super-convenient to install. They have a small footprint and are more mobile than ever, removing the dedicated desktop in most cases. Scanning and electronically storing documents has reduced the space need for hard copy storage. Wireless modems and printers has reduced the number of untidy and hazardous cords. 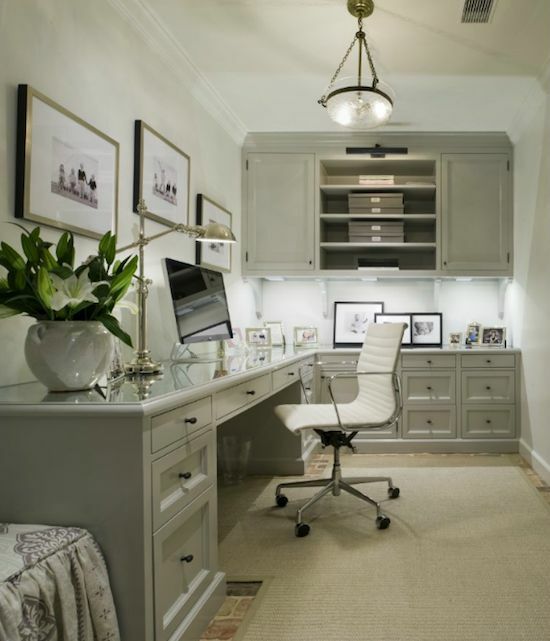 Home offices rarely receive clients, making home office furniture less expensive and relatively informal. 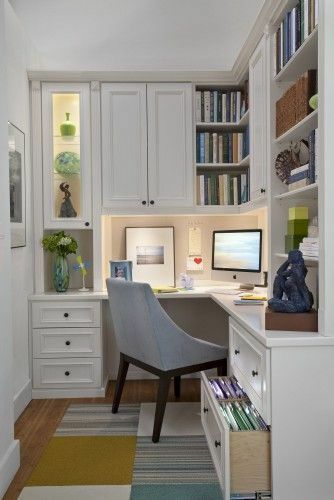 All of this means you can finally design and create a home office space that is personal and functional according to your needs and budget. 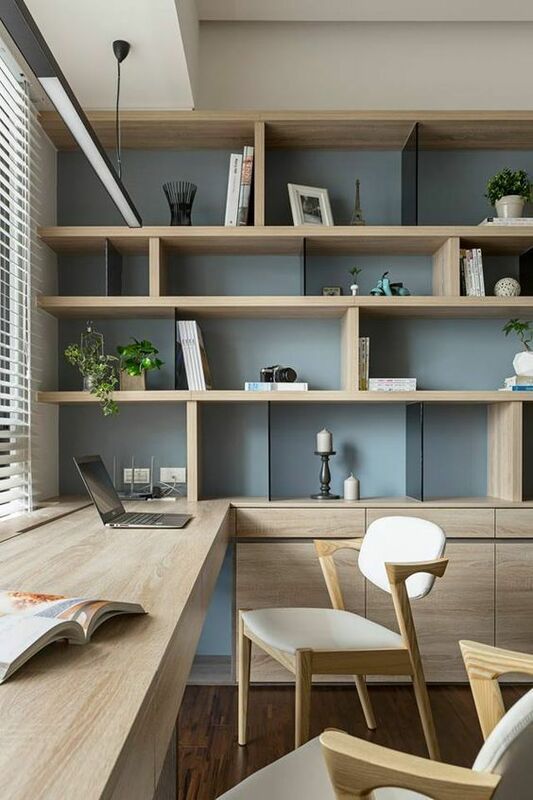 You might be working in your pajamas, and the walk to the office might be shorter and traffic free, but you still need to produce quality work, and that often comes down to how smoothly your home office is run. That means good ergonomic chairs, desk space, storage and working uninterrupted at your desk or on the phone. It also means being able to close doors from time to time to focus or for privacy. You might need desk space, but do you really need a chair? Enter the standing desk. Sitting for hours at a desk is bad for your health and your posture. The adjustable standing desk means you can break up how you work, either sitting and standing while working. 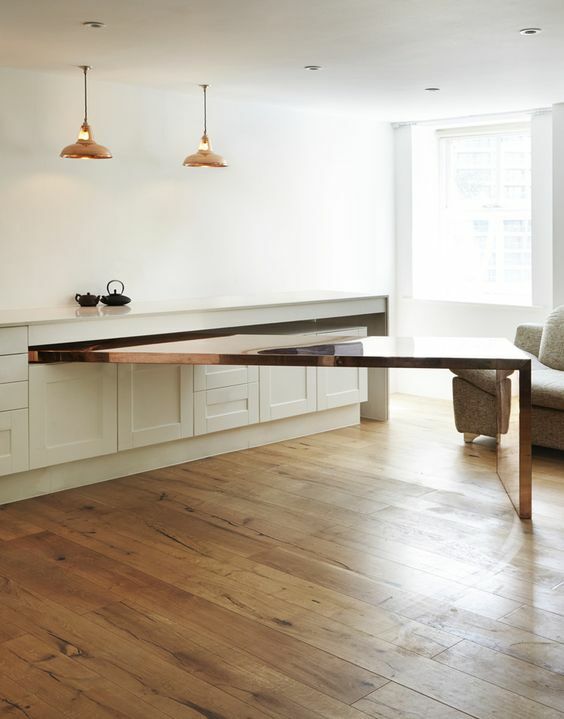 Home office furniture trends are changing. Home office furniture trends are turning to quality hand-made furniture as well as L-desk with adjustable return and matching bookcase. Rough-sawn wood and plank-top designs are popular along with details like chatter marks, dovetail joints and rustic index card hand pulls making them functional as well as beautiful to look at. The best mobile home option is a designated home office suite. Today’s selections include everything from a classic heavy wood profile to the clean, uncluttered modern laminate over brushed nickel frame. The great thing about a home office, is you don't always have to be at home. 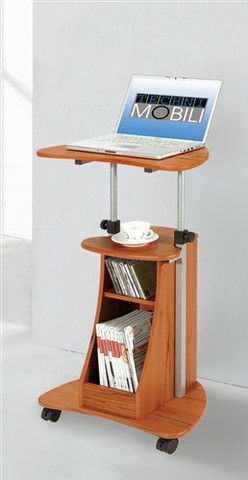 A mobile laptop cart with storage may be just the thing you need to get the job done. This gives you the flexibility to work when and where you want or need to. Perfect for an apartment or small home, a laptop cart has a tiny footprint less than two feet in width and depth, and is also adjustable in height and lightweight for ease of mobility. 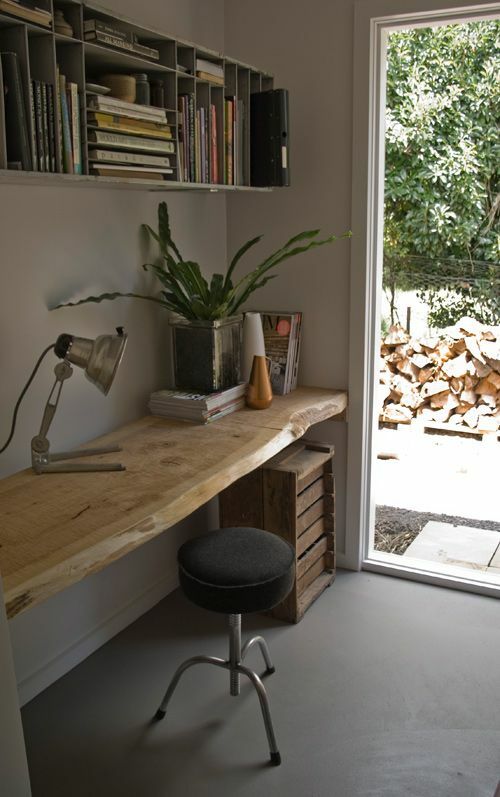 Space may not always be the issue but having options makes it easier to work from home without feeling cramped or confined. The home office furniture and décor you choose should meet your basic office requirements but also make you feel at home and easy to work in. Create a space you crave, one that accommodates your style and taste and super easy to work from.